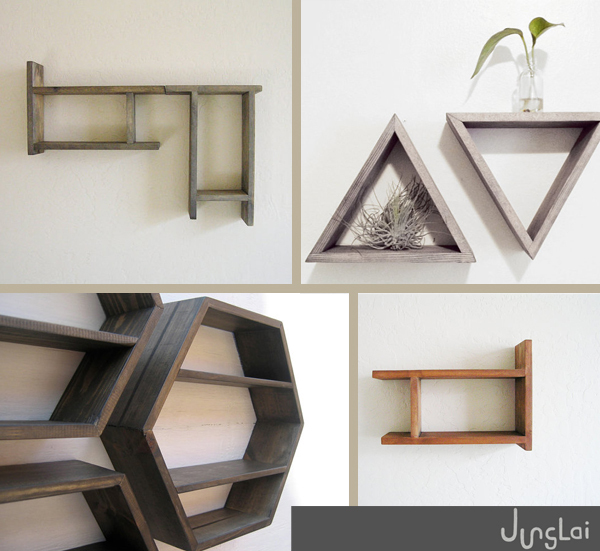 Junglai has these really cool floating geometric shelves. If I had the means, I'd get every single shape and hang them all to create a stunning accent wall. I'm just starting out but I'm super excited about it!